I want to thank you for our beautiful mural! What a treat to talk with Kathy and to be connected with Andrea Brewster for guidance on backsplash and surrounding tile. I just love it, as do our guests that come to see the new kitchen. I would be happy to leave positive feedback if you have a way to do it and feel free to let people know about our beautiful mural, even folks in this area could drop by to see it in person. Thanks to Tile 2 Stone too! She used our ST150 Hydrangea Mural (part of the Still Life Collection) and accented the blue in the mural with some a blue-toned mosaic framing the mural. We think it looks lovely! 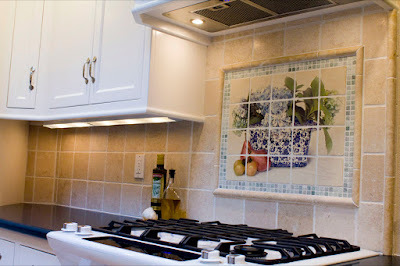 Tawny lives in Chico, California but was able to get design advice from Andrea Brewster of Tile Spaces in Woodbury, Connecticut. 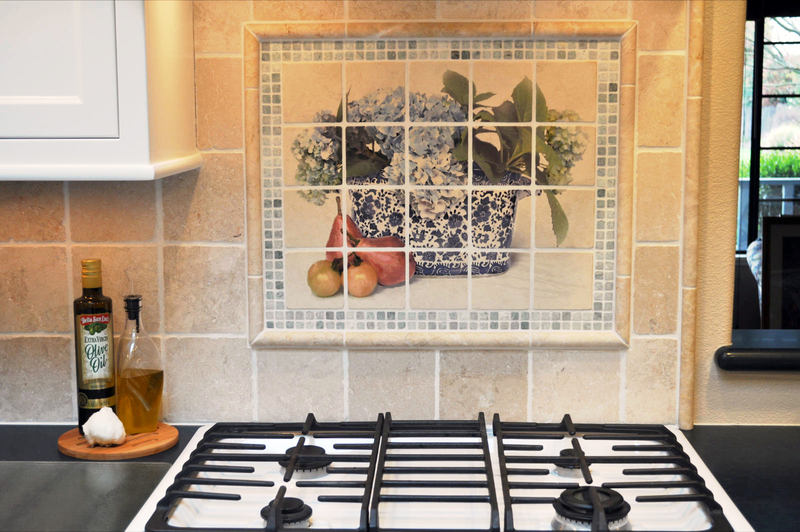 Andrea has been designing with StoneImpressions tiles for years and was able to help Tawny with choices of other materials in the kitchen as well. We have many designers who work with our tiles and we have to say, Andrea is one of the best! Like all valuable things in life, her design advice isn't free...but it is definitely worth it! Thank you for the photos and compliments, Tawny. 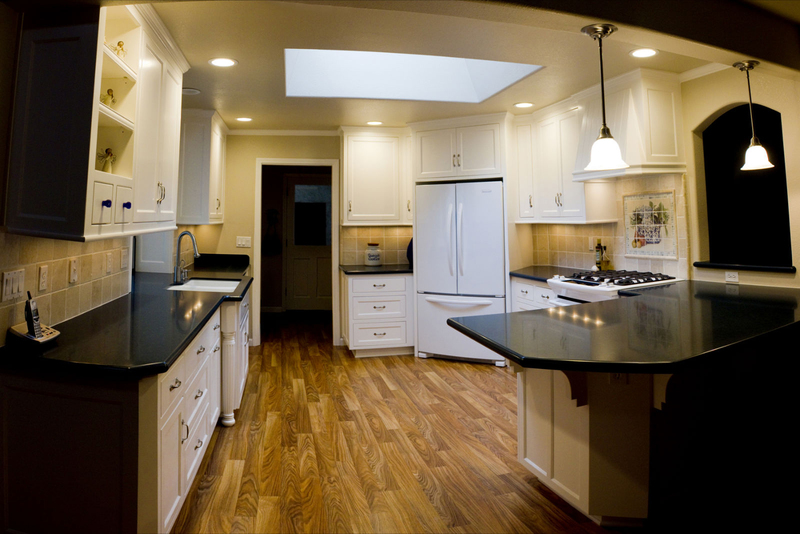 We don't often get to see the finished product and love it when homeowners show us how it looks in their homes. Thank you Tawny for sharing these pictures and your kind words. 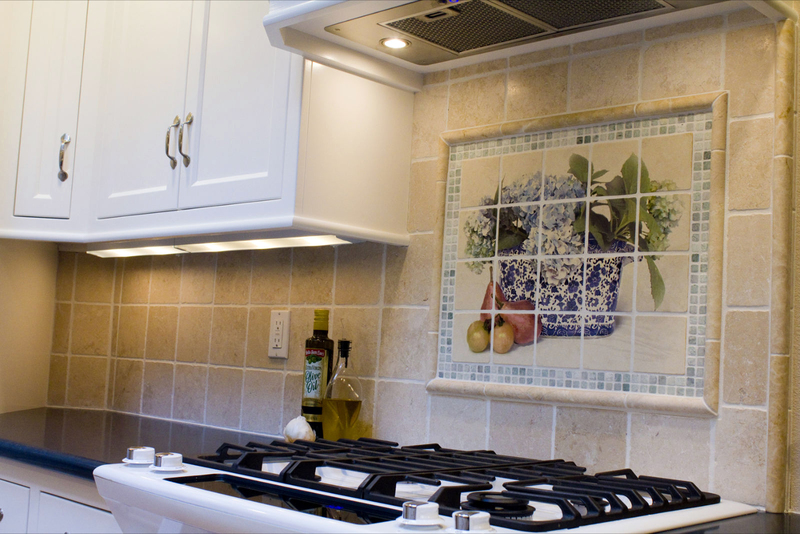 It was my pleasure to help you create this beautiful backsplash. You are the kind of person that we in this business treasure. You make what we do worthwhile. 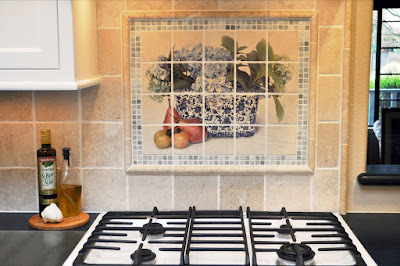 The design looks impressive for a kitchen backsplash.